Giving momentum to the issue of alleged misuse of public funds in advertisements by the AAP Government, the Delhi High Court has directed the centre appointed 3-member committee to consider and duly report on the matter within a period of 6 weeks. Petitions were filed against Government of NCT of Delhi’s alleged diversion of public funds towards broadcast of self aggrandizing advertisements, which is in direct violation of Government Advertisement (Content Regulation) Guidelines, 2014 issued by the Supreme Court. 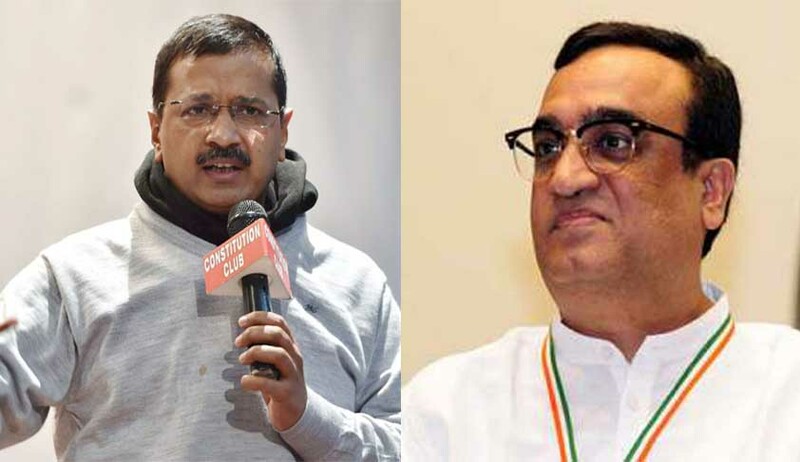 Among the four PILs filed, one was by Ajay Maken, chief of Congress Unit in Delhi praying that the centre had failed to enforce the said guidelines and that immediate steps be taken to make amends. “The complaint dated 10.05.2016 of the petitioner (Ajay Maken) shall be considered and decided by the three-member Committee constituted by the Government of India on 06.04.2016 in accordance with the Guidelines as expeditiously as possible, preferably within a period of six weeks from today”, Chief Justice G.Rohini stated in her Judgment. Disposing of the remaining writ petitions, the Bench stated that the petitioners in other writ petitions can file complaints before the Committee which shall be considered in terms of the Guidelines. As regard to the issue raised whether Delhi Government’s advertisements would also be monitored by committee appointed by the Union of India, The Court without dwelling into it directed the said committee to deliberate on the matter. The said guidelines were issued by the Supreme Court in Common Cause vs. Union of India acknowledging the need to regulate any such transgressions. These provided for formation of a 3-member committee (empanelling persons with impeccable record of neutrality) having jurisdiction over (a) Ministries/Departments of Government of India and Union Territory Administrations; (b) Public Sector Undertakings of Government of India; and (c) Local bodies and other autonomous bodies / organizations established under a Statute by Government of India / Union Territory Administrations. The state governments were directed to constitute their respective committees in compliance of Supreme Court orders or be regulated by that of the centre for regulation of such unethical practices. Political parties have often been accused of unethical and unwanted expenditure in propaganda. The thin line between advertisements of government policies and party propaganda often gets violated. The committee’s decision will not only have far reaching effects on AAP government’s political ambitions but is also likely to prove to be a bulwark against unethical political campaigns.